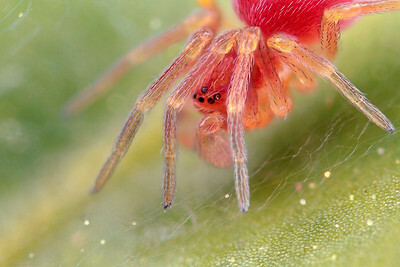 This small web-using spider is around 2 mm in size and stands on it web. It detects it prey mainly by sensing vibrations. The picture has been made with magnification factor 8 and f/6.4.